Robert is a graduate of the University of Louisville Brandeis School of Law. He earned his undergraduate degree from Indiana University-Bloomington. Robert works primarily in the areas of estate planning, probate, preparation of wills, trusts, powers of attorney, health care directives, guardianship, elder law and Medicaid. 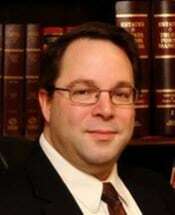 Robert is a member of the Allen County Bar Association and the Indiana Bar Association. Before attending law school, Robert worked for a number of years in financial planning. Robert lives with his family in southwest Allen County and is an active member of the American Taekwondo Association where he currently holds the rank of 2nd degree black belt.